My Bullet Journal 2.0 blog series exploded shortly after it was published. You can find all parts of the blog series in this post, Bullet Journal 2.0: a Comprehensive Overview. 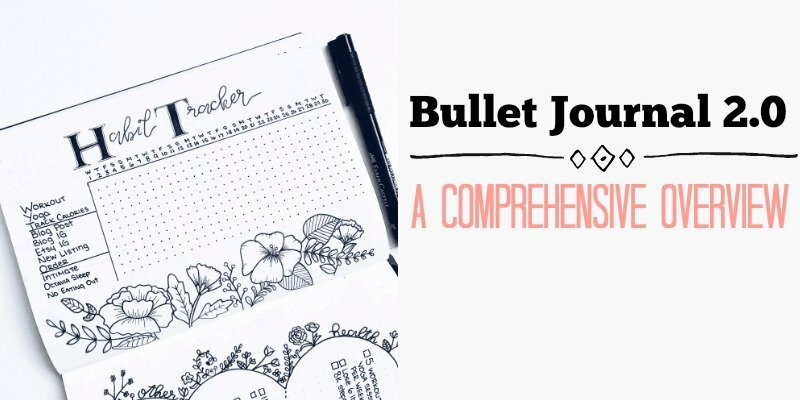 I initially made the Bullet Journal 2.0 blog series with the beginner journalist in mind. Every post is comprehensive and in-depth. It covers everything from what you need to do before you get started to FAQs and collection ideas. So, no matter if you need insight before you start your own bullet journal, or just need monthly log inspiration, this blog series covers it. 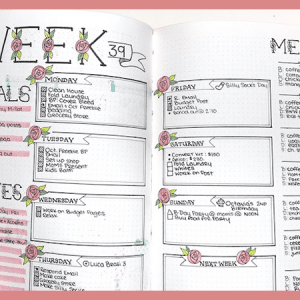 Part 1: WTF is a Bullet Journal: This post delves into the technical side of bullet journaling. I define the terms and walk you through how to use the techniques in the original system. 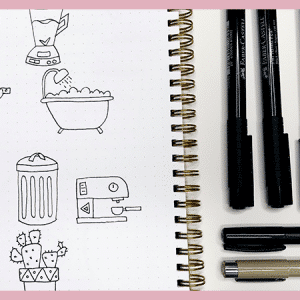 Part 2: Before You Get Started: Want to know what supplies you should have to start a bullet journal? Or, do you need to know where to find inspiration and community? This post dives into both topics in great detail. Part 3: The Future Log: Learn about the purpose of a future log, what you can record in one, and inspiration for your own future log. 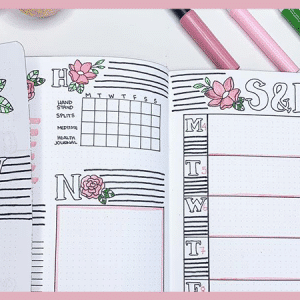 Part 4: The Monthly Log: In this post, I share my top tips for setting up your monthly logs and show you a variety of layouts and inspirational monthlies to get you started. Part 5: Weekly Logs vs. Dailies: Do you ever wonder what the difference is? Which one should you use? This post will give you clarity to decide which format will fit your needs. Part 6: Habit Trackers: Get insight on the purpose and value of a habit tracker. Then, find some inspiration with gorgeous photos of creative trackers. And finally, find out what kinds of things to track in your habit tracker. Part 7: Collections: This post breaks down collection ideas by category and lifestyle. Find what you need and want in your bullet journal, and leave the rest. Part 8: Getting Over the Fear of Starting: If you constantly find yourself comparing your journal to those you see online, you should check out this post. In order for the system to work for you, you have to actually start. Part 9: FAQs: In this post, I answer the questions I get asked most frequently about bullet journaling. Part 10: Wrap Up & Final Tips: I conclude this blog series with my top tips and advice to the beginner. These are the things I wish someone would have told me when I first started. This blog series has become the foundation of The Petite Planner. It’s where I refer people who are struggling with getting started and finding answers to their questions. And, while it covers all the basics, there is one thing that isn’t included in this series, adding creative touches to your journal. While it’s not necessary, most of the people I talk to got into bullet journaling because it allows for flexibility and creativity. But, within the same conversation, I often hear people say they can’t doodle or do lettering. And that lack of confidence hits me in the feels, hard. So, I created a course that can help you become confident in your creative skills while learning how to create beautiful lettering, doodles, and layouts. Want to know more about the Rock Your Journal course? You can get all the details and enroll here. Get Access to my VIP Resource Library full of Free Printables by subscribing to my Newsletter.